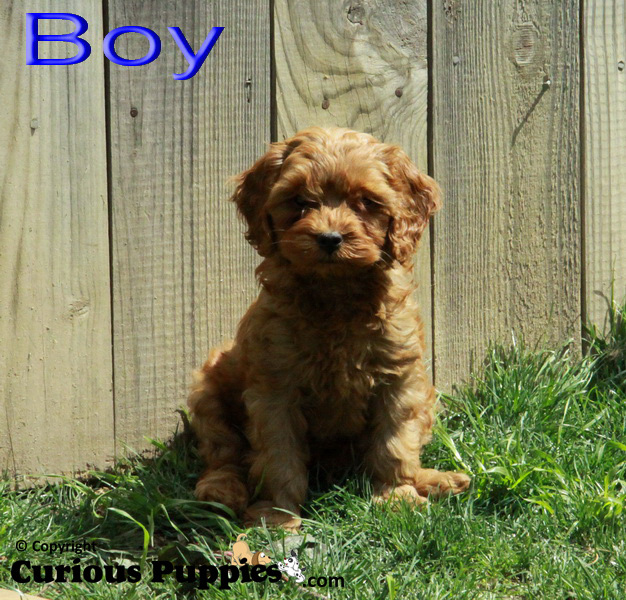 Curious Puppies Loves Cockapoo Puppies for Sale! 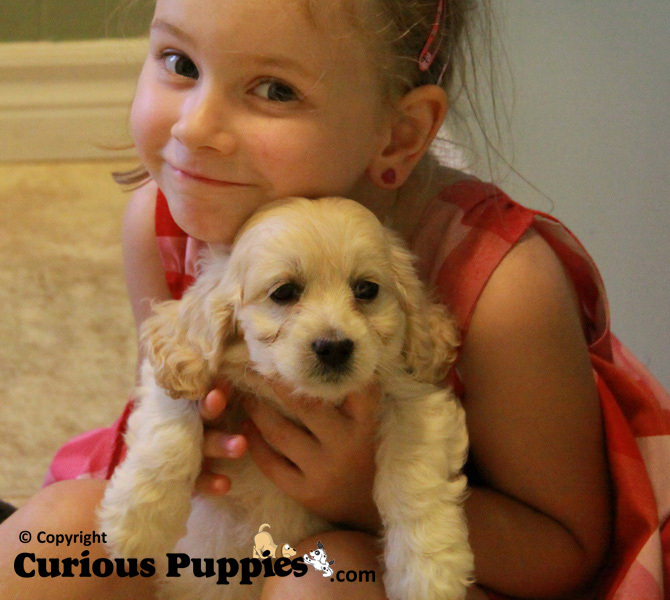 At Curious Puppies we love to spend time with our cockapoo puppies for sale. We have had many litters of cockapoo pups over the years and they are always such a joy! The cockapoo is a cross between a cocker spaniel (either English or American) and a poodle (toy, mini, or standard sizing). No matter which cross, they all have the amazing character and personality that is so common to cockapoo puppies for sale. 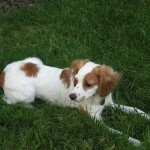 A cockapoo can also be a cross of a cockapoo and a spaniel or poodle (making them 3/4 one or the other). Our cockapoo puppies for sale are almost always a first generation cross with both parents being purebred. 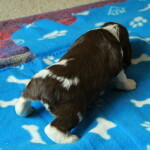 If we don’t have any Cockapoo Puppies for sale at the moment you can join our Waiting List! Cockapoo puppies are one of our most common cross breeds we have as puppies for sale. They are also one of the most highly recommended by vets, trainers and the like, and the one people comment on the most for amazing temperaments! 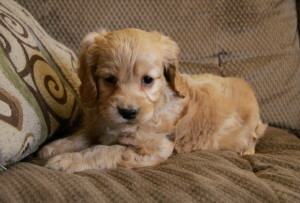 Our cockapoo puppies for sale are gentle yet playful and fun-loving yet cuddly. Our kids have spoiled many of our cockapoo puppies for sale over the years, with all the love and attention they give them, many even putting the children to bed at night! 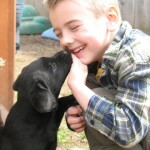 Our son always picks his favourite based on who kisses him the most-which makes picking hard when it comes to a cockapoo! They are also highly tolerant with children who are mindful of their size. Our daughter has been carrying cockapoo puppies around for years, not one has ever complained! 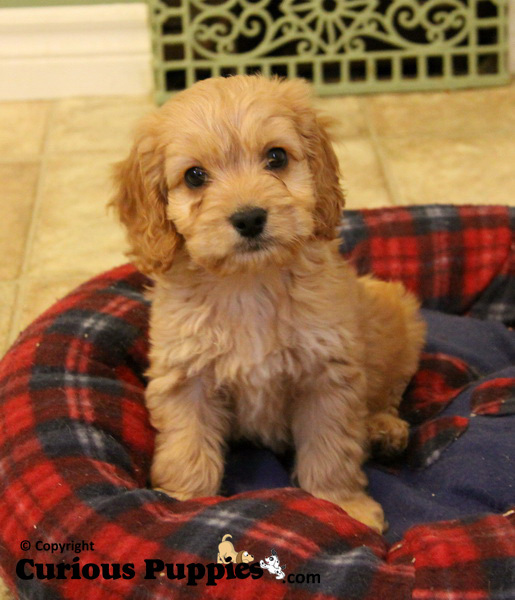 What Can I Expect From Cockapoo Puppies for Sale? Cockapoo puppies for sale should be well socialized early on in life. They should look healthy and well cared for, and be playful and alert. Of course, they do sleep a lot in their first months of life, so don’t be surprised to catch them napping every now and then! Cockapoo puppies are known for their eagerness to play, and play they do! But this also tires them out quickly. Cockapoo puppies for sale can sleep much of the day, as well as through the night, and this is totally normal. 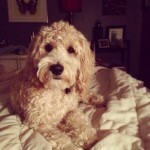 Cockapoo pups are also highly intelligent and make training a breeze when you are prepared ahead of time. 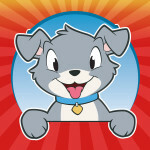 Crate training puppies is the most recommended way to make training a breeze. 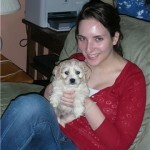 We have heard countless testimonials from our own puppy families that their cockapoo was fully trained in 4 days to 1 week! 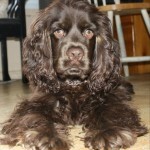 The average is under 2 weeks, so get ready ahead of time and you will have your wonderful puppy in no time flat. Size: The adult height and weight will depend on that of their parents. 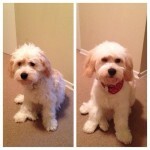 Dealing with a hybrid, you will have to take the type of poodle into account as well for the best estimate. Toy poodles mature up to 10 inches at their withers (shoulder), miniature poodles are between 10in but under 15 inches at the withers, and standard poodles are those over 15 inches at the withers. 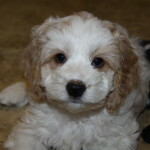 Weight can vary greatly, with the smaller cockapoo puppies for sale being less than 10lbs (though not usually from a first generation cross of purebred parent to purebred parent) to larger cockapoo puppies for sale that weigh closer to 40lbs. Hair Types: English Cocker spaniels and American Cocker spaniels are both shedding dogs. They lose both hair and dander, making them unsuitable for those who don’t want to clean up some hair loss, as well as most people suffering with allergies. Poodles are generally considered to be minimal shedding dogs and good for those with allergies. For this reason, people have found cockapoo puppies for sale to be the best solution to both of these problems. Please note that not all cockapoo puppies for sale will have lower shedding or dander loss! This is a common misconception, and one that breeders and those selling cockapoo puppies for sale, need to be more aware of and honest with potential new puppy owners. 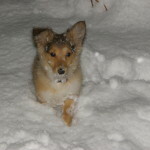 Also, just because a puppy does not shed while they are young does not mean there will not be any shedding at a later time when their coat comes in fuller. 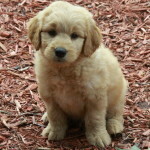 We have further noted that “the curlier the hair the better” when it comes to hair loss and people dealing with allergies when looking for cockapoo puppies for sale. We have had multiple litters of cockapoo puppies for sale that had fairly smooth hair, and they typically lost fair amounts of hair on shirts and clothes, just while people were visiting and petting them! While the wavy to curly coats on the cockapoo puppies for sale had little to no shedding, and no allergic reactions. 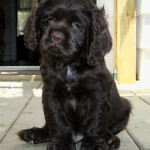 Colourings: Cockapoo puppies for sale can come in a wide variety of colours because both Cocker spaniels and poodles have various colours in their genes. 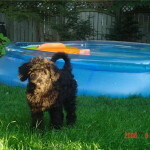 There can be solid colours, tri-colours, and parti coloured cockapoo puppies for sale as well! Colours most often include tans, creams or apricots (as is commonly used with cockapoo puppies for sale), white and black, browns, and more. Even the noses and eyes can come in other colours than black! 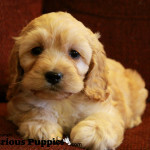 No matter what size, look or colouring, cockapoo puppies for sale are always a great addition to almost any loving home. As with all puppies for sale, please do your research! Make sure that the timing is appropriate for bringing home the precious new life you choose. This needs to be a carefully thought out decision as cockapoo puppies live on average 13-15 years, though in our experience we have heard many up to 17 and 18 years old! 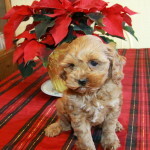 Be prepared to ask as many questions as you need and take as much time visiting with cockapoo puppies for sale as you need. When everything goes well, you will have a happy and well-adjusted new friend and life will never again be the same. You will have fallen in love with this wonderful cross breed. Cockapoo puppies should melt the heart of almost anyone, from their addictive little faces to the kisses you are sure to receive. Cockapoo puppies for sale are certain to remain a favourite in our home and hearts!